The Russian men’s national volleyball team has obtained a wild card to the World Cup, which will be held in Japan from November 20 to December 4. 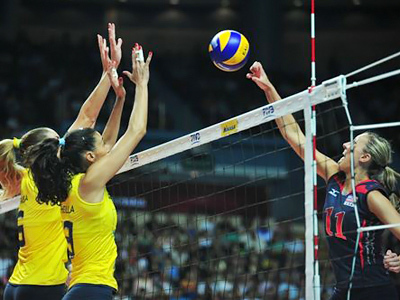 ­The tournament in Japan is widely regarded as the 2012 Olympic Games qualification. Along with Russia, the Polish national team has also obtained a wild card to the World Cup. Team Russia were in need of a wild card after they missed out on medals at the European championships in Austria. Among the women’s teams, Italy and Argentina have received individual invitations, meaning the Russian national team will have to play qualification games next spring in order to earn a berth at the London Olympics.